Wow! 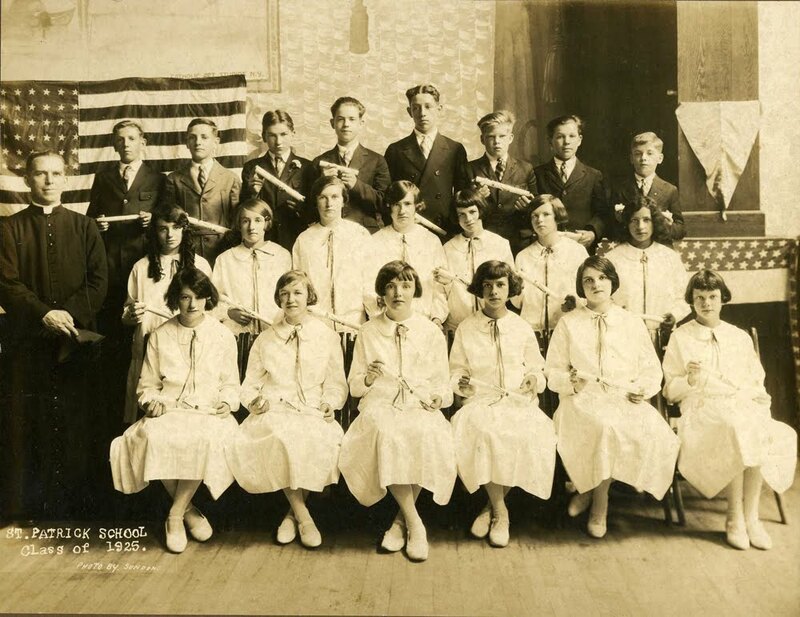 A graduation picture from the first ever graduating class of St. Patrick's School in 1925. Our thanks to Ginny James Vollmer for sending it to us. Her mother, Helen Gorman James, was a proud member of the class and is standing in the middle row, second from the right. 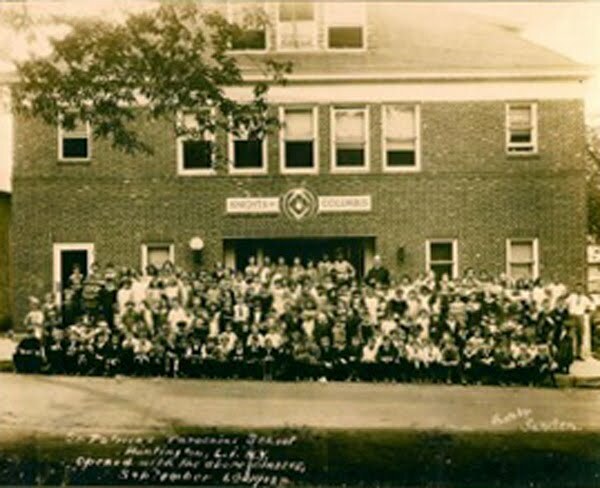 Here is our first graduating class, in 1922, the very first year of the school.